Beauty, eh? I swapped many parts off the old Monocog and used some extras from the old parts bin. 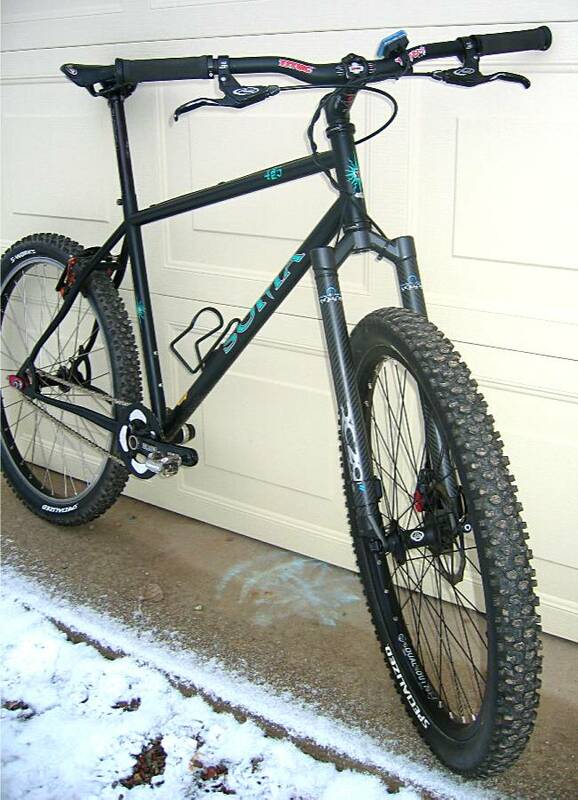 The frame was a sweet deal off the classifieds as a complete bike. 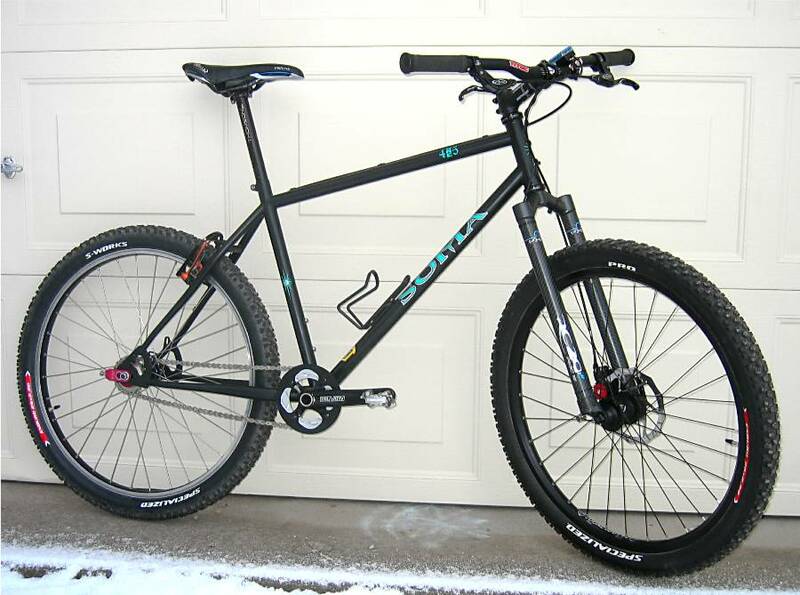 I opted for the Pace RC29 off my geared GF Utopia to shave some weight and take about a degree off the head tube angle for more relaxed handling. 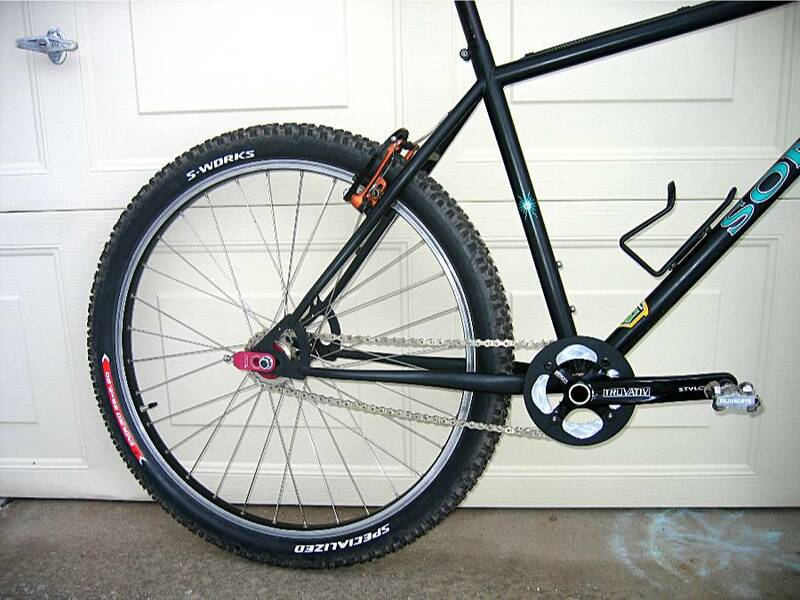 I may opt for a disc in back and use my other WTB wheel with spacers and a cog, but I'm partial to the Mullet. Soma makes some really nice frames. It's only gotten two rides and nothing off road yet (too much snow), but so far it feels great. i too am partial to the mullet. nice looking bike man. How's the disc/vee combo feel? Dunno how much chance you have had to ride it, but how much does your Pace fork flex, especially under braking? Is it visible? I have an RC31, not 29 but I assume they're similar in feel. The feel of the mullet is fine - most of the brake force is on the front wheel regardless of the set up you use. The rear V has plenty enough power to lock up the rear wheel if you want to, so the rear disc is not an issue for me. Having said that I did pick up one of the $39 Pricepoint BB5s for the back, just for kicks. 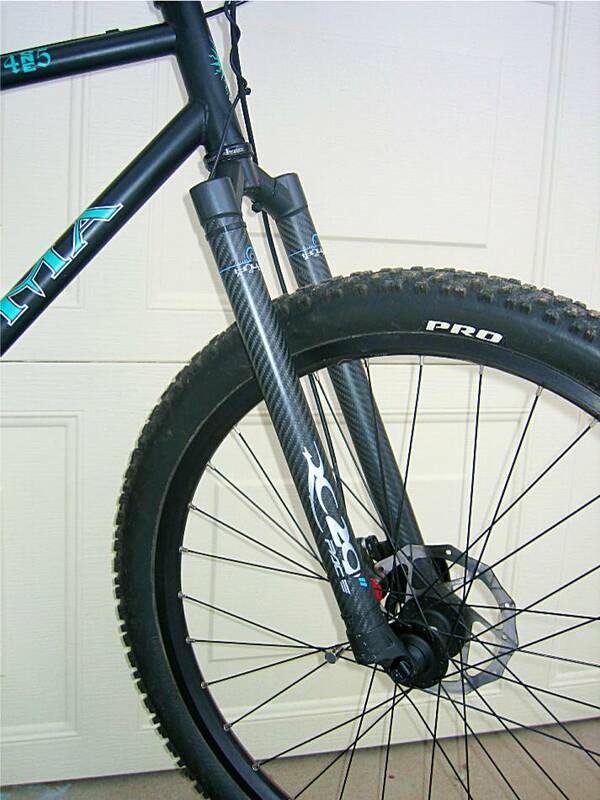 The Pace fork does flex a bit under braking (I rode it alot on the 29er), but not as bad as my old Manitou Skareb used to. It''s a trade off between the compliancy of carbon and the supple feel. The Redline ran a Surly Instigator fork that was ultra rigid but a bit on the heavy side. The flex on the Pace is predictable and doesn't affect your stopping power or control. It works OK for me and really takes out some of the trail chatter. yeah, it doesn't really affect me, but it is kind of scary to watch the whole fork flex back. Just normal I guess.